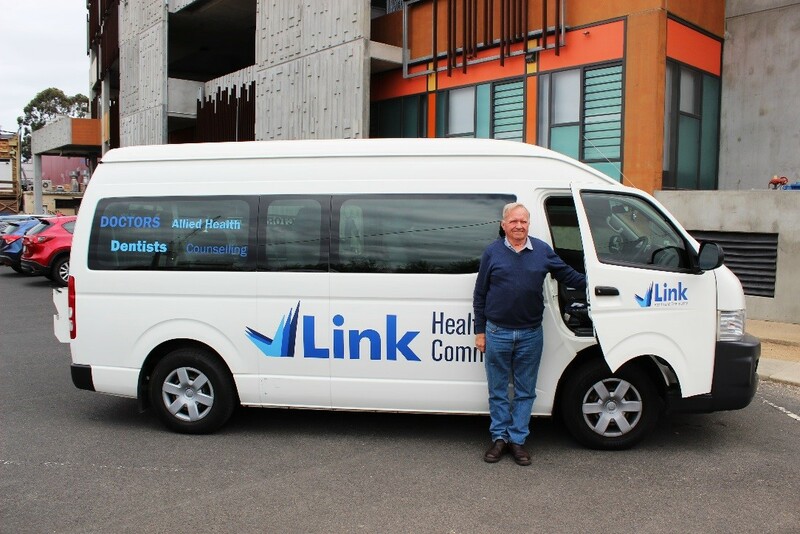 Bill McIntosh has been a volunteer driver at Link Health and Community (Link HC) for over 5 years. Some of Link HC’s clients are house-bound and unable to drive themselves nor have a friend or relative to assist, so this vital service helps them get to their appointments and stay socially connected to their community. Bill regularly drives clients to Link HC’s hydrotherapy class and occasionally helps with other programs too. But to Bill it’s more than driving a bus – it’s the social aspect and the enjoyment of meeting new people and catching up with existing clients too. He finds it interesting to hear all the different languages spoken on the bus as the clients interact and catch up with what’s been happening in their lives. Bill fondly remembers an instance just prior to Christmas, where a number of clients were teaching each other how to say Merry Christmas in their language. For some clients, the trip on the bus becomes the social activity. They benefit from exercising at the hydrotherapy class and forming friendships from regularly seeing each other on the bus. “For me personally volunteering at Link HC has been a very enjoyable and rewarding experience.” Says Bill. Help our clients get to their appointments and stay socially connected, by becoming a volunteer driver. Weekly and emergency positions available, call 1300 552 509 or email Linda, lpocervina@linkhc.org.au for more information.